Chase is now offering a $150 bonus to new customers who open a personal checking account before December 15, 2011. Receiving your bonus is as simple as opening a new, qualified account and making an initial deposit! With this account, you will receive several other benefits, and this added bonus is a great opportunity to start off the holiday season with extra cushion in your wallet! The required minimum opening deposit is $100 and must be deposited within 60 days of opening the account. The account must be open for at least 90 days or you will be charged an account closing fee of $25. Qualified accounts include all personal checking accounts except Chase high school, college, access, customized, and online checking accounts. Keep in mind that these qualified accounts come with a monthly service fee of at least $10. Direct deposit must be set up within 60 days of account opening, and your first direct deposit must also be made within those 60 days. Don’t waste any more time. 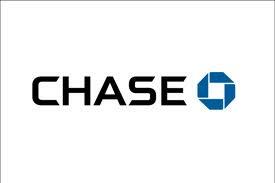 Hurry in to your nearest Chase location or visit their website and sign up for your personal checking account today! Get your bonus before the deadline on December 15, 2011! Find more bank bonuses available to you today!